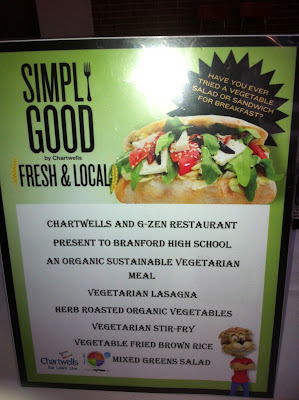 Chef Mark & G-Zen Takes on Branford HIGH SCHOOL for a day! 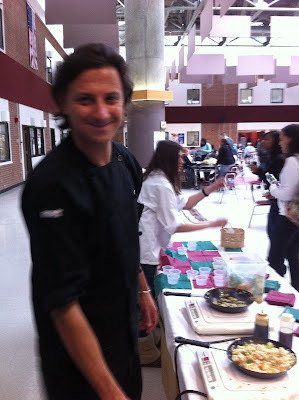 NY TIMES RESTAURANT REVIEW CONSIDERS GZEN WELL "WORTH IT"
Chef Mark Prepares for the 1000 students to line up for their school lunch at Branford HS. 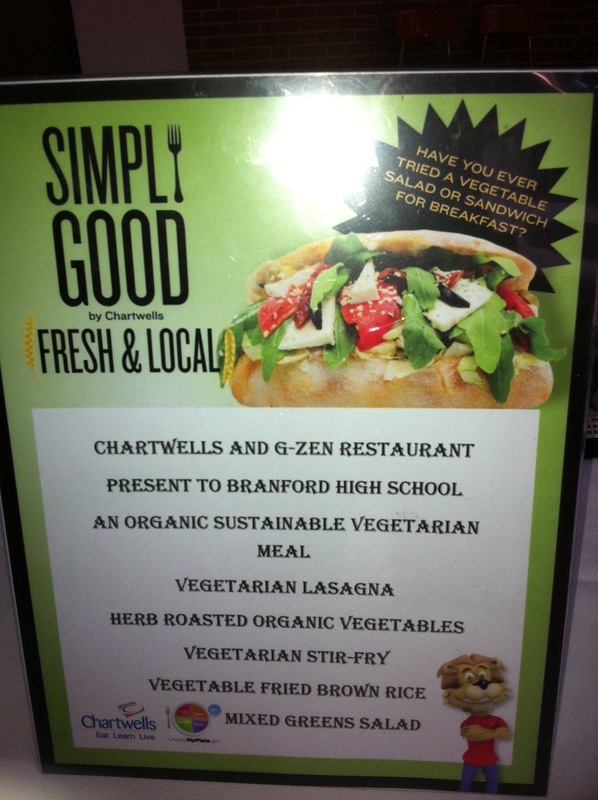 Inspired by Chef Mark's trip to the White House and his official invitation to hear Michelle Obama speak, Chartwells & Branford High School invited Mark and Ami Shadle of Gzen Restaurant in Branford to be a part of National Nutrition month. In honor of this, they proposed that Gzen prepare a hot and delicious 2 vegan entrees, a side dish and a salad option, with ingredients that were 100 vegan, organic and that supported local farmers. 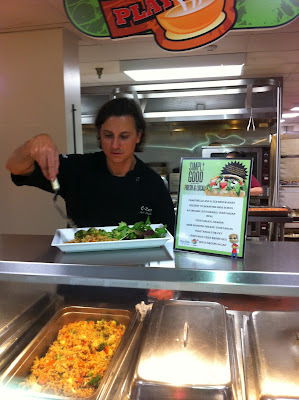 They also asked if Chef Mark could do a live demonstration, exposing the kids how to cook a healthy and delicious meal while keeping the ingredients simple, wholesome and more natural. 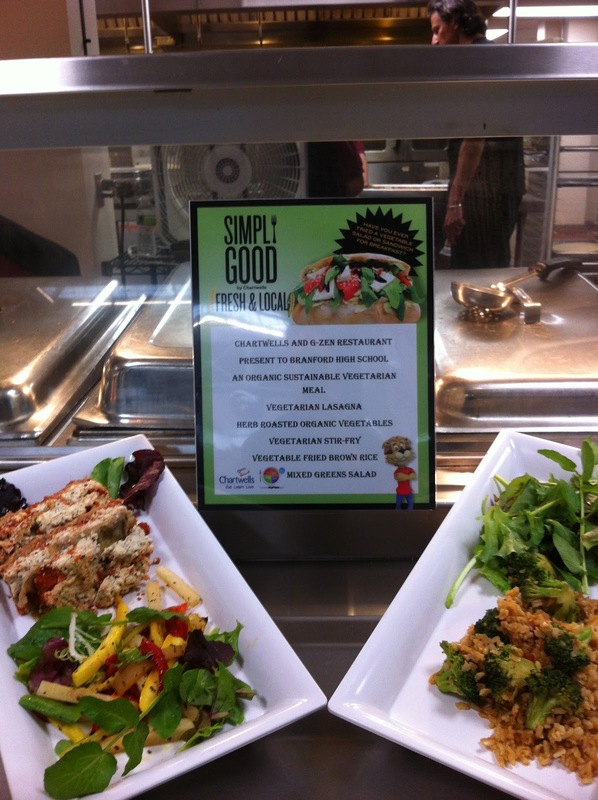 The outcome was a huge success.